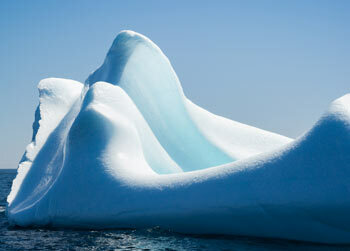 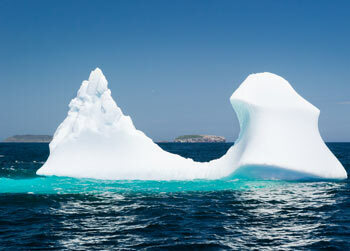 Icebergs are 10,000 year-old mountains of ice that broke off from glaciers floating in the Atlantic Ocean. Most of the iceberg is underwater. 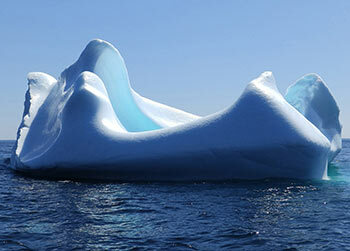 In fact, almost 90% of an iceberg is below the waterline. 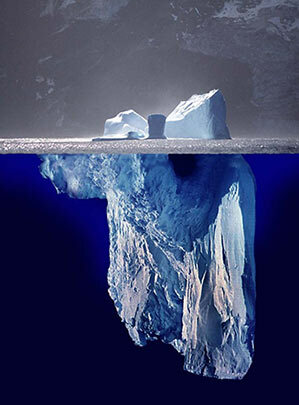 That's where we get the saying "just the tip of the iceberg" — there's even more going on that you can't see! 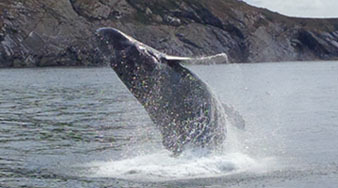 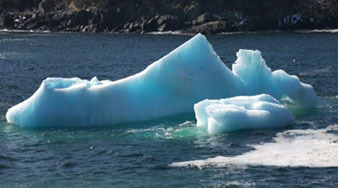 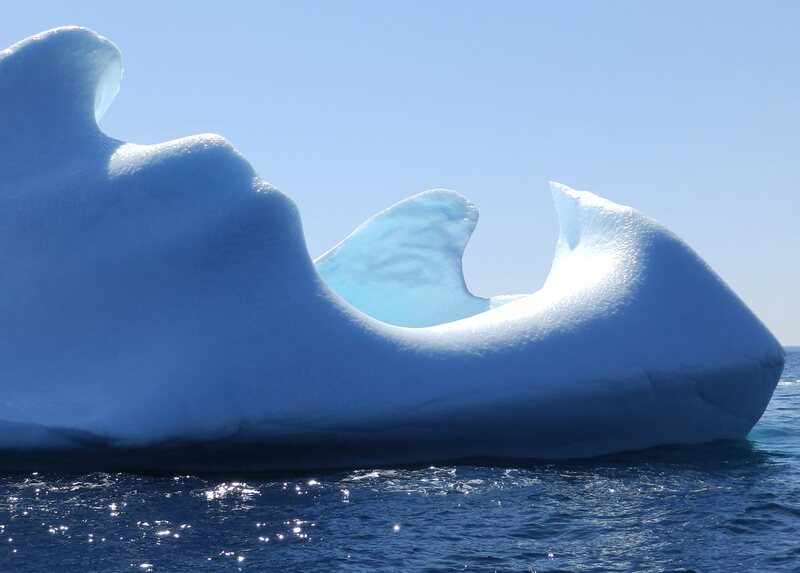 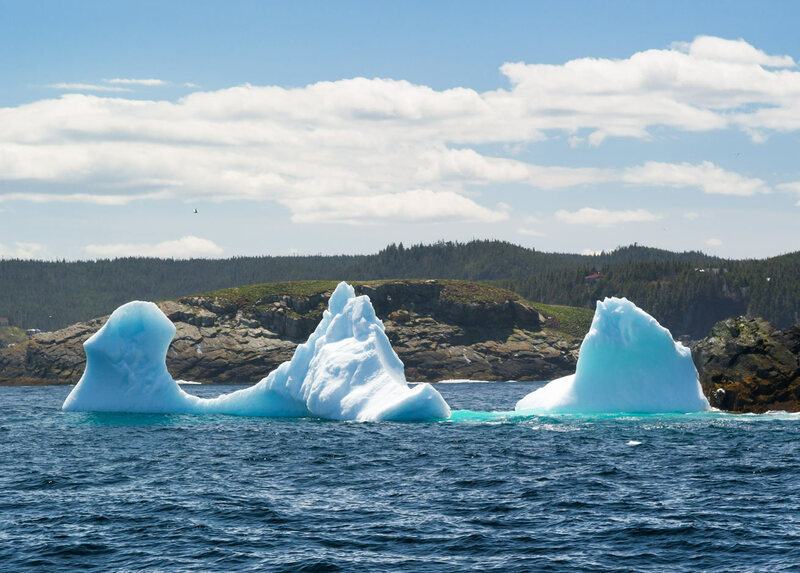 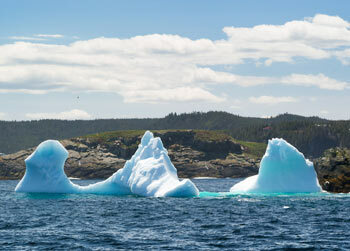 Icebergs are pure freshwater, even though the ocean is saltwater. 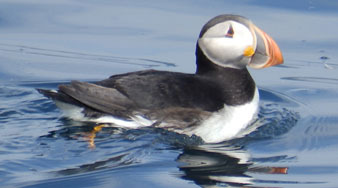 They're even safe to eat. 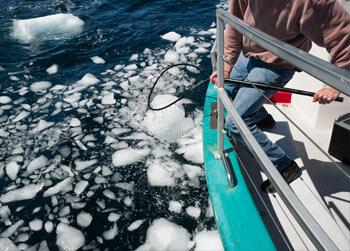 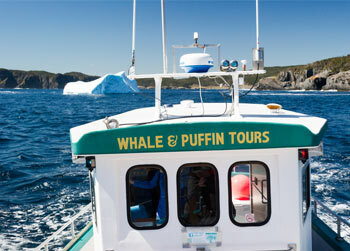 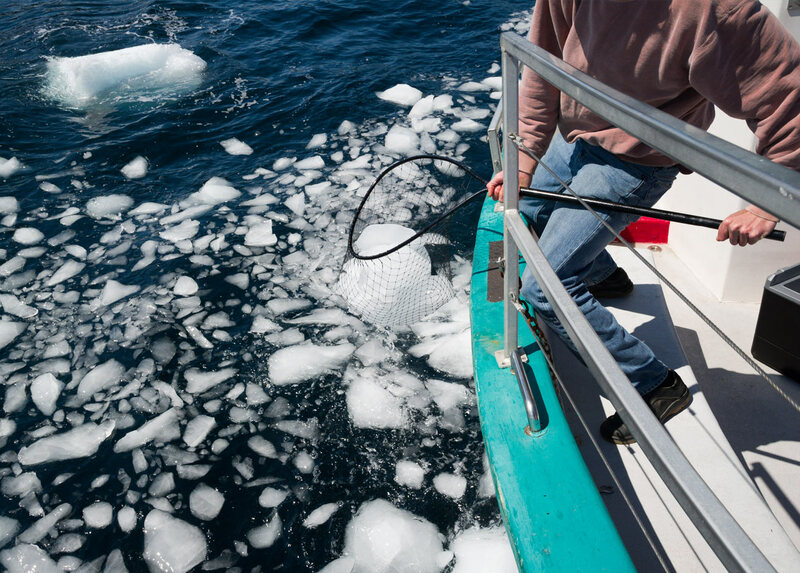 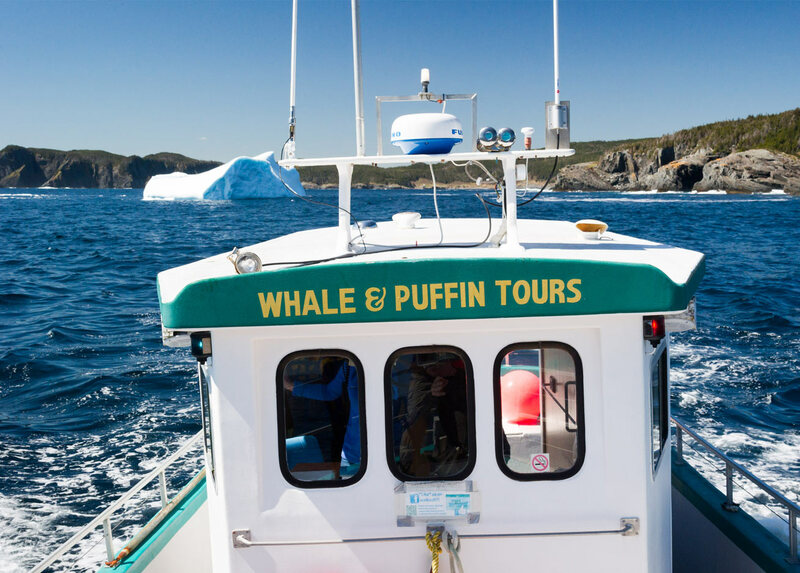 Newfoundlanders collect bits of iceberg, and add it to their drinks.